Here’s a selection of fabulous testimonials given by some of my clients. Thank you for choosing to work with me. I’d been suffering with issues with my ankles, knees and lower back for some time in so much that I was even struggling with the stairs at work. And as for playing squash I was in pain every time I tried to run and twist to return shots. I was really fed up with my body letting my energetic approach to life down. And then I was introduced to Karen by mutual friends and thought I have to give this a go. Karen immediately told me that I had to be patient and would have to forgo a lot of the activities, including squash, whilst she worked on my body in order for the muscle memory to adapt and change to correct my posture and remove the pain. 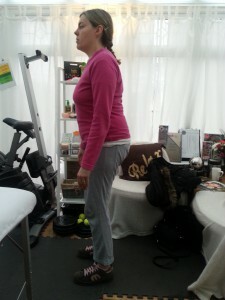 Immediately the pain started to decrease and I become more and more mobile as Karen worked on my body. In total I had 10 sessions over a period of 6 months and gradually re-introduced physical activities into my weekly routine. With Karen’s support and advice I was able to ensure my posture at the classes I attended were correct so that I didn’t incur damage to my body. I now feel fab and am really looking forward to playing squash again too. I will still book maintenance visits with Karen to keep my body in alignment. 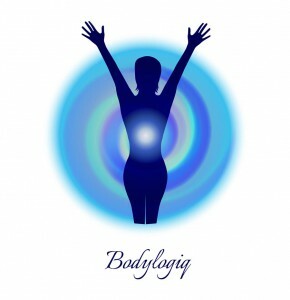 The Bodylogiq approach she has created is fantastic as Karen integrates lots of different techniques that blend together to ensure a truly holistic approach to ensuring the body heals itself with her wonderful guidance. Thank you Karen – my body feels GREAT!!! I booked in to see Karen after straining my back whilst gardening. I’m fortunate to have been mainly fit and well for most of my 56 years and didn’t consider myself to be aging, however suddenly finding myself limping down to the local shop left me feeling old and a little vulnerable. Working with Karen has been, in many ways, a revelation. The ‘no pain no gain’ mantra of my sporting youth was thrown out of the window and I experience a very gentle process which greatly reduced the pain and stiffness within a few minutes. 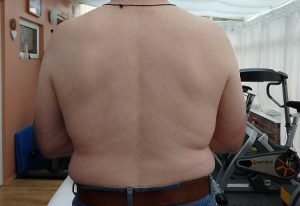 A big surprise came when Karen show me a photo she had taken of my back. She indicated that the muscle strain was only the tip if the iceberg and that there was a few years of lifestyle choices to undo. I was oblivious to the years of bad posture and how I had taken my body for granted. After a few more sessions by back is now not only pain free but in much better shape. 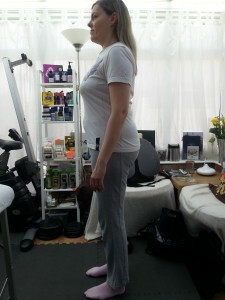 I’ve learnt what constitutes good posture and how to look after my body to keep it in good condition. I highly recommend Karen’s approach to pain. After 11 years, I’m getting warmth and sensations back in my legs. Thank you so much. I’d had a long standing problem with my knee that became very painful and meant I was unable to walk very far, go up and down stairs. I also had a long standing RSI in both hands due to overuse which made using my hands very painful. 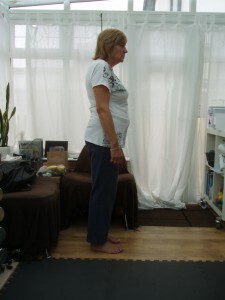 I had significant pain in my knee and hands – but I didn’t realise much of it was due to my sitting posture. 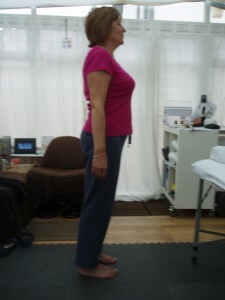 When Karen started working on my shoulders I realised just how much re-alignment and help I needed. I had quite high expectations as I had heard Karen was good but she has exceeded them. I can now kneel down without pain, which I haven’t been able to do for a long time. I feel significantly better but know I need to maintain a routine of exercise and also to be aware of my posture and use of my hands in particular. 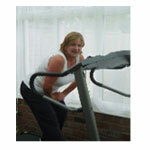 “I started Pilates with Karen over a year ago in order to regain some suppleness and general mobility. I had been experiencing a lot of stiffness in my joints ‘due to age’ (I am now 58), lack of exercise and because of my job. I drive for a living and spend up to 8 hours a day locked in a driving position, I also have to lift and carry heavy objects. I enjoy rambling, mountain walking and small amounts of climbing. I was finding increasing difficulty with my hips. Karen suggested I have some private sessions to start to mobilise my joints. After the first session I noticed a big difference and practised my exercises every day – not as many as I should, but nevertheless, regularly. By the end of the 5 sessions, I was experiencing less pain; noticeably so when I got up in the morning and went downstairs. Previously I was taking painkillers to dull the pain during the day and at night too; otherwise the pain woke me. The effects are ongoing. I can happily lie on my side in bed now, I can lift my legs to put my underwear on (something I’ve not been able to do properly for a couple of years. The biggest improvement was noticed on my summer holiday. I was fitter, quicker and more agile. Walking in the Swiss Alps this summers was a breeze. I now feel a lot better because I don’t feel ‘old’ and the stiff, painful hips are a thing of the past. 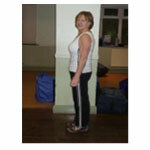 I really enjoyed the mobility exercises with Karen and would recommend that anyone with reduced mobility should try them. “None of us like growing old, me especially! I have exercised for the majority of my life and have always loved it. I have done the high impact stuff like step, running, etc. But, over the past few years, it very slowly started to dawn that this wasn’t working for me. Or rather my body was not was not as accepting of this type of exercise. I was beginning to have pain after exercise. Pain which was not bad or debilitating but enough to make me start thinking. The turning point was in 2009 when I was involved in a very high speed motorsport accident. I was incredibly lucky and only had a 2 night stay, courtesy of the NHS. After this I knew I had to revisit my exercise regime. Since meeting Karen, I have not looked back. I didn’t realise that my flexibility, or lack of, was really hampering me. I now work with Karen on a 1-1 basis and I can honestly say that I have never looked or felt better. The tailored regime suits my personality. I’m target focussed and we work to that strength. The best thing about working with Karen is her ‘whole body’ approach – not just the body, but the mind as well. I realised that this was exactly what I was looking for. If the mind-set is not right then the body is not right. It isn’t a question of ‘mind over matter’, the mind and matter have to be in harmony. Why do I know this…? Well, throughout my life I have suffered with stress and depression. I’ve had time off work and seen several counsellors. But, I was dealing with the parts as individuals. I have discovered that the ‘whole body’ approach gets far better results. Yes, I still suffer from depression, I always will. That is me, but I am in control and the exercise is a key factor in that control. Since working with Karen my fitness has improved beyond my wildest dreams and, no, I am not joking. It is hard work, she does push me hard. But at 54 I am doing more exercise than ever before. I have changed my style and I now cycle rather than run. It has much less impact and I absolutely love it. My goal this year is to ride for 60-75 miles. 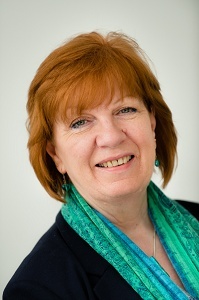 “Karen Chappell is quite simply a miracle worker! She has helped me with a back problem that I have had all my life. 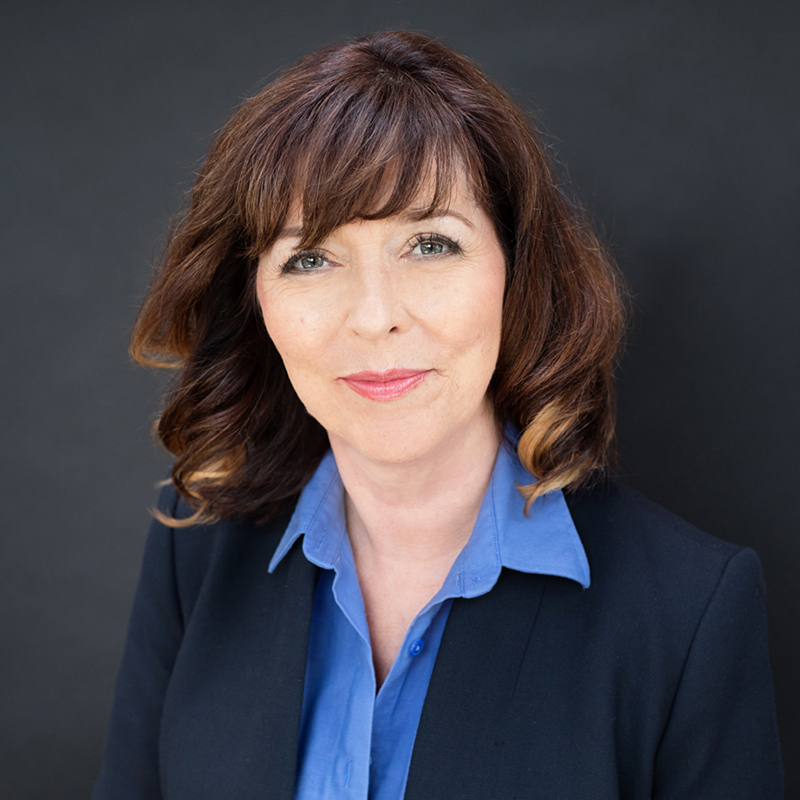 I have tried all sorts of other treatments over the years but Karen’s methods are the only ones that have actually made a difference and don’t hurt or make me feel worse before I feel better. When I come away from a session with her, not only do I feel fantastic, but I sleep better, feel less stressed and more energised. I now go to her on a regular basis so I can continue to feel fantastic. It is money extremely well spent. “I had stubborn, chronic aching in the heart of my shoulder. It was persistent and worsening. Very still, hard and spreading. Karen very gently, so…so… gently “nudged”. I can only say “spoke” to the muscle tension, almost cradled it, and gave loving kindness and very, very gentle massage. The hardness dissolved, subsided and slept. I was amazed – all of this in a matter of minutes. Incredible, awesome healing. Thank you!! “At first I thought it would be really difficult to pull the exercises into a busy lifestyle, but found once you got into a routine it was quite easy. The effects were very encouraging. The whole experience has made me more aware of my body and posture, especially as I can do a lot of heavy lifting at work. 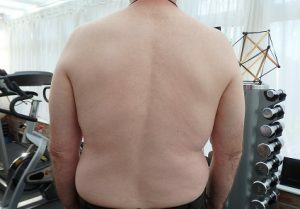 “Karen helped me to first reduce and then manage my lower back pain using a whole range of techniques and different exercises. As someone who sits in offices and cars a lot (and has endured a couple of high impact falls! ), I have suffered with back pain on and off for a number of years. “In June 2010 I was told I was borderline diabetic. This came as a shock and daunting prospect, as I loved cake puddings, chocolate, etc. But I did not want to become diabetic. Karen has given me a lot of help and encouragement. She showed me how exercise help and I actually got to enjoy running on the treadmill. I also learnt how exercise rids the body of toxins and just how much exercise is needed to burn calories. “Following a road traffic accident in January 2006, when I was hit head on by another car, I was taken to LRI for suspected neck injury, back injury, fractured collar bone, sternum, lower left ribs, left hip, left hand and right foot. After X-rays were done, it was decided that I had not broken any bones and was discharged home. Although at the time I had pins and needles in both hands and feet and back pain, they did not X-ray my back. Within a couple of days, I had to go to my GP as over the counter pain medication was not sufficient and I was given Co-codamol 30/500 which enabled me to move relatively pain free and I returned to work after 3 weeks and started a course of physiotherapy and had both NHS and private, to no real benefit as I still had a lot of back pain and pins & needles in both hands and feet. Although the private physio did find a problem at T7/T8 which he said may account for the back pain, there were also some degenerative changes in C2/3 and C3/4 facet joints. I also attended LRI for Nerve Conduction Studies and an MRI scan which found nothing conclusive. One year later, I slipped on ice at work in the car park. I started taking the Co-codamol again on a regular basis but found that it made my heart race, and so went back to my GP as the back pain would not go away, it was also making me limp and it took several more visits to find a painkiller to suit. In 2010, I found that the pain had increased in my back and again needed to take painkillers to enable me to work and sleep. My GP decided this time to arrange an X-ray on my back and the results came back that I had a compression fracture at T7/T8 which left me with some scoliois to the left 13-14 degrees. 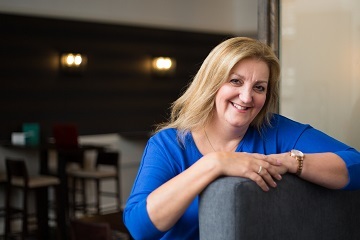 At around the same time, I was referred to Pain Management at LRI which led to me having another course of physiotherapy and a Trigger Point injection in my left buttock. Neither improved my condition and so I continued with the medication. I was already attending Pilates and Yoga with Karen and she saw the pain I was in and suggested that I attended her Conservatory for some treatment. The best decision I ever made! I could limp in and walk out. Sometimes I felt totally useless that I could not do what I had been doing a couple of years earlier and she seemed to understand. My mobility and flexibility had deteriorated hugely over the past 4 years and although I knew I was getting older, I didn’t expect to be left so much in pain after the accidents. Karen not only treated me at the Conservatory, but gave me exercises to do, which I admit, I couldn’t always achieve the result I expected, it did eventually happen. My days of constant painkillers, was reduced, I was able to walk and stand better as my posture improved. I still attend Pilates/Yoga on a regular basis and still have the exercises that Karen gave me back in 2010, which I refer to now and again if I have any problems. I feel that Karen has given me back my old self (because I was feeling very sorry for myself for quite a while), my mobility and flexibility has improved, although the cold weather does affect me more now than it used to – age related or accident related?? I would not like to hazard a guess, but I well be eternally grateful to Karen for getting my back to some semblance of normal. Thank you from the bottom of my heart Karen.